In the final scene of Live and Let Die, Bond wears a dressing gown in a terrycloth with a short pile. It has a base in white and red, which may have been achieved by using a white pile with a red ground. It has thick navy windowpane with a thinner red windowpane offset on top. 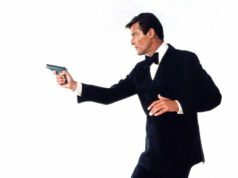 The dressing gown has a shawl collar, set-in sleeves, a belt tied around the waist, and two patch pockets below the belt. 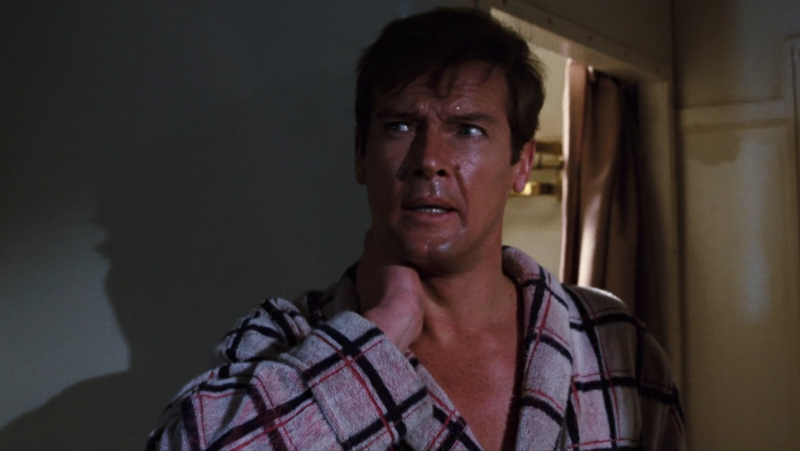 Bond rolls back the cuffs, showing that the terry cloth is double-sided. 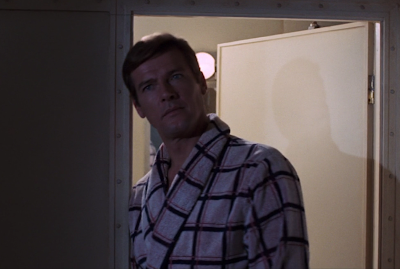 This dressing gown was made by Sulka, who Roger Moore mentioned a decade earlier in an episode of The Saint, and who made Pierce Brosnan’s shirts for GoldenEye. This dressing gown was sold at Aston’s Auctioneers & Valuers on 17 January 2009 for £3,600. 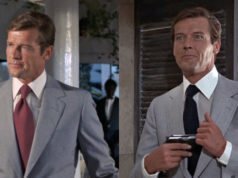 That’s incredible that you own a piece of Bond history! Are you able to share any details of the dressing gown, such as who made it? It would be much appreciated!